I’ve been purchasing music from the iTunes store under a single account from way back when, and was excited by the iCloud’s feature allowing me to download purchased tracks on my various iDevices and Mac’s. Unfortunately, when I attempt to do so with tracks purchased prior to this year, iCloud does not recognize the purchase under the account and does not let me download, even though the track shows up in the “purchased” tab on iTunes on my Macs and on my iPods/iPads/iPhones. The support people must be referring to the purchase history seen by iCloud because they claim I did not purchase these tracks when clearly I own them, have them on some devices, and they come up on the “purchased” section of iTunes! Would like to know if anyone else has seen this. 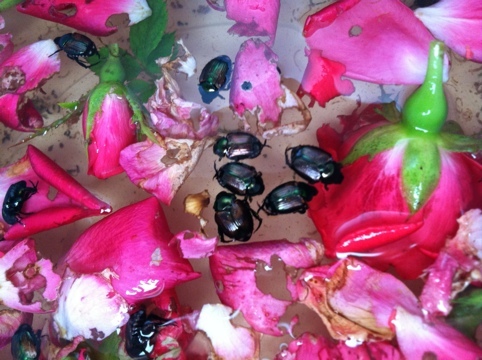 My apple trees, azaleas, and rose bushes are infested with Japanese beetles. I went to my local garden center and the fellow there imparted information on how to get rid of these “vicious invaders” with such passion that I could picture him in camouflage imparting orders on killing the Japs invading the island. I am glad that nothing bad is named for Korea, but there are enough Asian named pestilences and diseases to leave me smiling wryly whenever I hear about these Japanese beetles, the bane of gardeners in the Midwest. The Asian Carp which in another time would have been the Chinese carp if we didn’t owe them so much money is another invasive pest that gets much scorn. I can only wonder what non-Asians think when they see more Asians on TV, at their golf courses, and in their families. I think we’re just part of a long tradition going back to the Spanish Flu, and the Black Death which was blamed on the Muslims. Harmless? Not really because it associates bad feelings with a locale or nationality. Woosup M Park requested that we send this e-mail. If you have questions about Amazon.com, please visit our Help Department . Please note that product prices and availability are subject to change. Prices and availability were accurate at the time this e-mail was sent; however, they may differ from those you see when you visit Amazon.com. 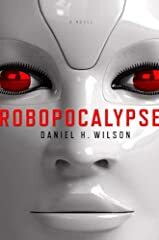 © 2011 Amazon.com, Inc. or its affiliates. All rights reserved. Amazon, Amazon.com, the Amazon.com logo, and 1-Click are registered trademarks of Amazon.com, Inc. or its affiliates. Amazon.com, 410 Terry Avenue N., Seattle, WA 98109-5210.